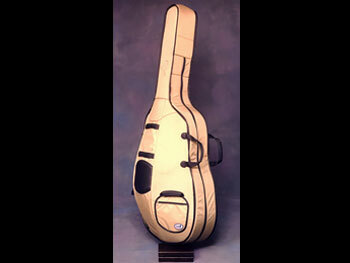 Blue Heron Soft 3/4 Stand-up Bass Case is made with our standard materials. We use dense EVA closed cell foam for the body and sides of the case. The foam is sandwiched between the interior lining of lint-free ripstop nylon and the tough, water-repellent, 1000 denier cordura exterior fabric. For strength, durability, and ease of use, all Blue Heron® cases feature a large #10 nylon coiled zipper with two long-lasting nickel zipper pulls. 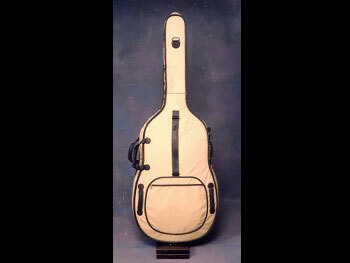 Our 3/4 Stand-up Bass Case features 10 handles, a music pocket, a string pocket, and a bow pocket. For long distance carry there is a 2” shoulder sling on the back that is laid out to work with either or both of the handles on the outside of the lower bout. The bridge area is double padded with dense closed cell foam on the outside and soft open cell foam on the inside. We have added cordura lining in the bridge area to safeguard the case from abrasion by the bridge. A leather bridge nose adds protection on the outside. 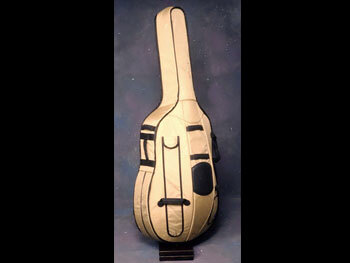 There is 102” of zipper to ease the job of putting the case on and taking it off the bass. *Orders shipped to California please add 8.5% CA sales tax. For shipping & handling within the USA via US mail ground service, please add $29.00. For shipping & handling to Canada via US Mail ground service please add $58.00 (US funds), for other international shipping: call or email for quote. If you require a shipping upgrade option please call or email for quote. We accept Visa, Mastercard and personal checks. 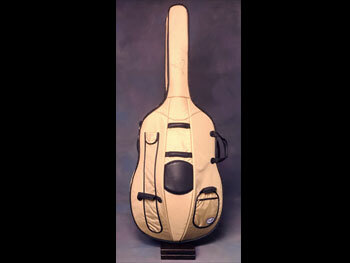 Blue Heron Softshell instrument cases are handmade and built to last by musicians for musicians.